Since 2010, the Language Link centre in Rostov and Kranodar has been an authorized partner of the University of Cambridge ESOL Examination: Centre RU053, one of three centres in Russia that grant international CELTA and DELTA qualifications to teachers of the English language. Preparation to receive CELTA certificates in our centre is carried out by teachers from around the world, and since the program’s inception, over 450 people have studied with us! On our international site celtadelta.com/centres, Teacher Training Centre Language Link Rostov occupies a leading position and has one of the highest ratings among centres around the world (9.8 out 10). This is a truly good result that bears witness to the fact that we have attained a very high level of academic teaching instruction, no worse than, and in some ways better than that of our European colleagues, in just seven years. 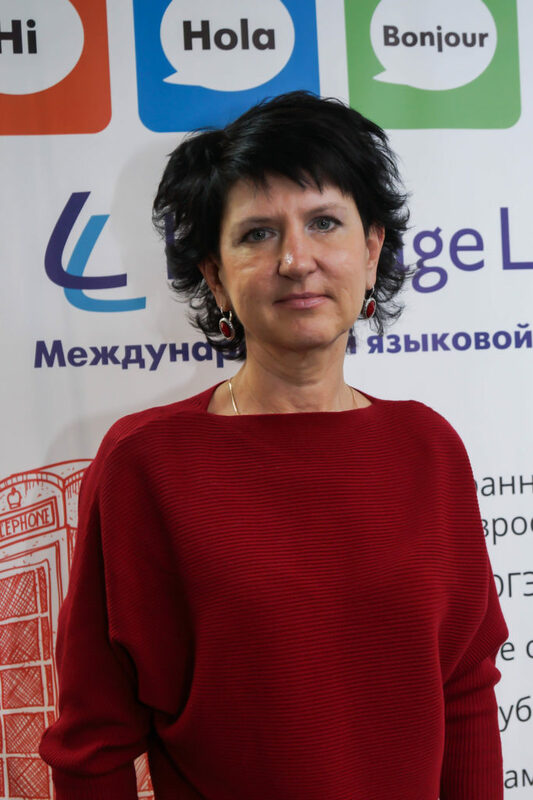 The director of the centre is Yuliana Nikolaevna Chernikova, the only Delta and senior CELTA tutor in the Southern Federal District, recipient of a Delta diploma with honors. CELTA (A), CPE (A), Cambridge accredited CELTA/DELTA trainer. This year the winter session will take place not only in Rostov, but also in Krasnodar, at Language Link’s new filial. All who are planning to register for the course can now do so with a discount through early registration! The tutors in our centres are highly qualified, with hundreds of well-prepared students and dozens of sessions around the world behind them! One of the main advantages of our center is a high level of education. Our teacher training center has a high rating internationally. Teachers from different countries come to us for CELTA and DELTA courses. Our CELTA and DELTA sessions are an order cheaper than in Moscow and St. Petersurg. We also offer a wide variety of discounts for early registration. What’s more, in Rostov and Krasnodar, rent and other living costs are significantly lower. Our centre takes all students without any additional certificates or courses. To take the CELTA course you only need an English level of Advanced or Proficiency. We also offer free testing in the form of a written exam and interview with a tutor. WHERE DO CELTA SESSIONS TAKE PLACE? Rostov-on-Don, Universitetsky Pereulok 79. The Teacher Training Centre in Rostov-on-Don has been running CELTA courses since 2010. The space is located in the very centre of the city and contains a fantastic library and the necessary technical equipment to host the course. The course is led by both native-speaking tutors and Russian-speaking tutors. Rostov-on-Don is the largest city in southern Russia and one of the fifteen or so cities in Russia with a population over one million, with reasonable living costs. It is located 1.5-2 hours flight from Moscow and 3 hours drive from Krasnodar. If you leave the city on an evening train, you can be in the centre of Sochi by morning! Krasnodar, Pashkovskaya St. 83. Krasnodar has been considered a culturally developed city since tsarist times, when it was called Yekaterinodar and was used as a military camp. Since then Krasnodar has been the centre of the Kuban region and the south of Russia. Now the city has obtained great popularity not only among tourists, but also among those who wish to move permanently to the southern capital. This is thanks to its pleasant southern climatic conditions and the residents’ high quality of life. The noise of the city isn’t frightening; it draws you into its musical and poetic depths. In Krasnodar itself is a huge number of interesting cultural locations to visit. Aside from its historical assets, the city is full of beautiful parks and pedestrian zones. Musicians, performers and various creative people from all over the country come together here and give free concerts and poetry performances on the very streets of the city.